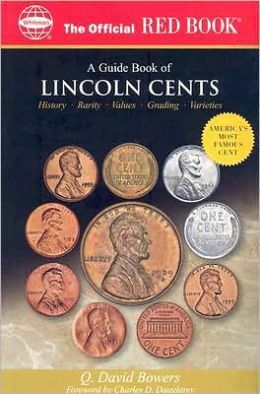 From 1909 to 1942, the Lincoln Cent was composed of 95% copper and 5% tin and zinc. That all changed in 1943, as for the first and only time, a coin was made out of steel, which was quite a contradiction from gold, silver, copper or bronze. 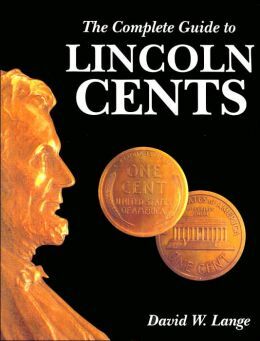 Even before the United States entered the war, there were inklings that the cent, as well as the nickel were in trouble. The nickel was made out of 75% copper. Copper was in huge demand due to its use by defense contractors in the manufacturing process of various supplies and equipment needed in case of the US going to war. After the attack on Pearl Harbor, the rumors only grew and in January 1942, The Numismatic Scrapbook Magazine reported that Treasury officials were giving serious consideration to using different metal contents for some coins. The first step occurred on January 23rd, 1942, when the Treasury ordered the removal of all but a trace of tin from the cent from the already small amount that had been in use. The existing supply of strips and planchets were used and it is speculated that cents produced in 1942 were produced of both metal compositions. This small change was expected to save 100,000 pounds of tin. Throughout 1942, there were repeated attempts and pleas to the public to turn in their cents and nickels. Even with these pleas, the shortages continued and for the last six months of the year the mint scaled back production of cents and nickels. During this time, experiments were conducted with various metal compositions, fibers, plastics and even glass. On December 18, 1942, Public Law 77-815 was enacted. This law called for the melting of more silver dollars and for the authorization of metal substitutes for the one cent and five cent coins not to go beyond December 31st, 1946. The nickel had already seen its change utilizing more silver in its content. The Treasury wasted no time and on December 23, 1942, Treasury Secretary Henry Morgenthau, Jr. ordered that all cents produced after January 1st 1943 be comprised of low-carbon steel coated with zinc. The zinc plating was to provide a thin coating to prevent rust and was to be no more than .001 inches thick. The same diameter of coin was maintained, but the weight was reduced from the standard 48 grains to 42 grains, due to the use of a lighter alloy. It took some time to produce sufficient supplies of planchets and production commenced on February 23, 1943 at the Philadelphia Mint with the Denver and San Francisco Mints beginning production the next month. On February 27th, the first delivery of cents was made to the Treasury and within a few weeks, the steel cents were in circulation. Although the Treasury Department assured the public that the coin, after being in circulation for a while, would gain a distinct appearance, many people noticed the color resemblance of a dime. Complaints continued to pour into the Treasury. For example, due to there magnetic property, many mechanical devices treated the new cent as a slug. Back then, there were quite a few uses for the cent and this was a big deal. The new cent was so much hated by the public that the Treasury was moved to issue them only when bronze-copper cents were not available. Still, demand for cents for business was so great, that the public was forced to use them as that was what was available. 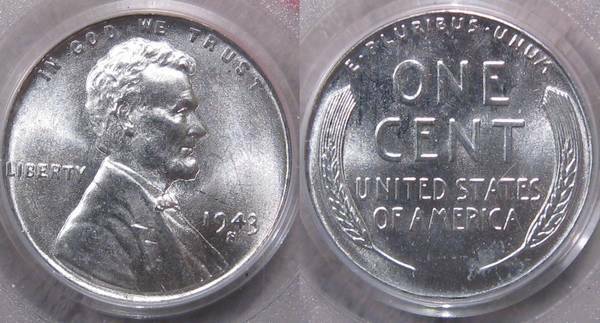 In the fall of 1943, the Treasury announced that no steel cents would be produced after December 31, 1943 and that the mint would produce cents from the pre-war alloy, but without tin. These cents, from 1944 through 1946 were to be known as shell-case cents, as the metal generally came from spent shell-casings. It was also announced that there would be no recall of the steel cent. After the war, the Treasury did begin recalling steel cents for the next 20 years. Although not publicized, coins were to be returned to the treasury in the normal course of business. By 1950, steel cents were becoming scarce and by 1960, nearly non-existent.